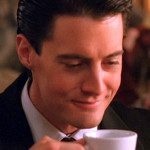 As one of the most surreal shows of all time, Twin Peaks showed viewers showed the riveting tale of superstition, crime, darkness, and damn good coffee. Detective Dale Cooper is assigned to Laura Palmer’s murder. When the detective arrives to the quiet logging town of Twin Peaks, he never expected to find such drama and even supernatural hands at play.